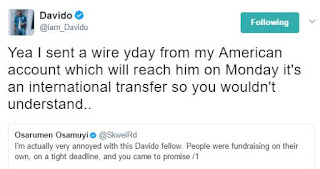 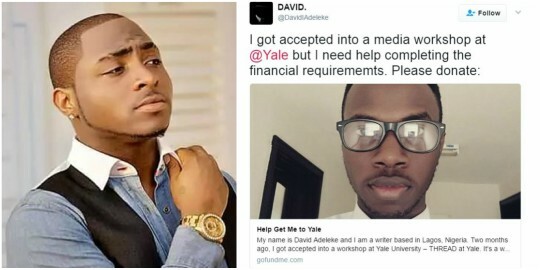 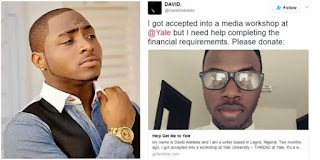 Nigerian music star, Davido, who had been called out before now and also yesterday for not fulfilling his promise to help pay the tuition fee of his namesake, David Yale, who got admitted into Yale, is currently trending on Twitter. 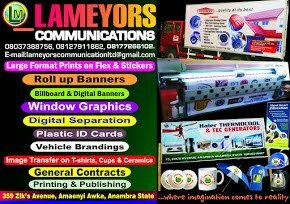 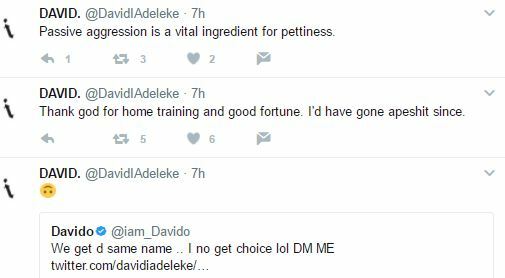 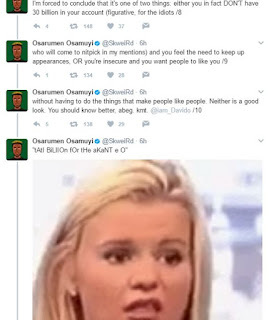 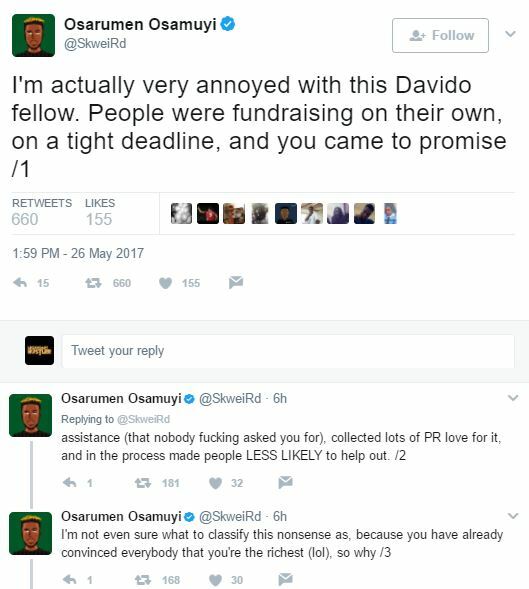 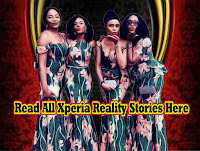 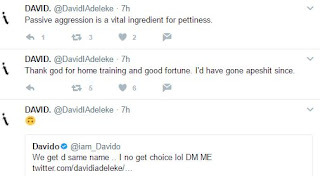 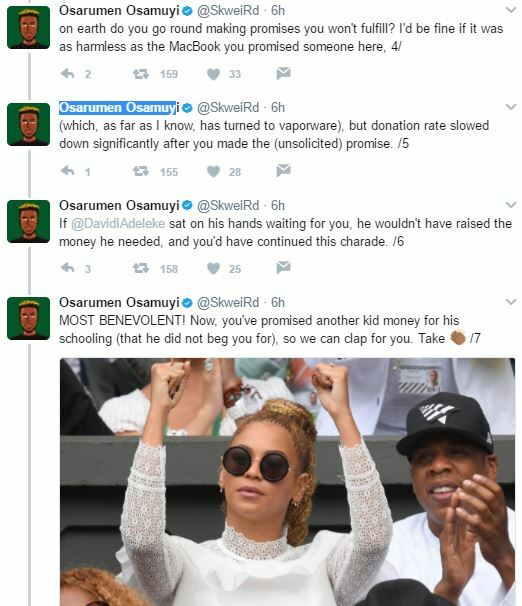 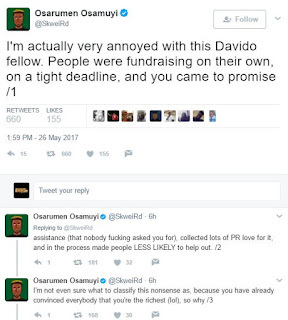 David Adeleke, who felt bad that Davido never fulfilled his promise, tweeting some cryptic messages which was linked to Davido and picked up by Twitter User, Osarumen Osamuyi who blasted Davido for promising to help the poor boy only to leave him high and dry. 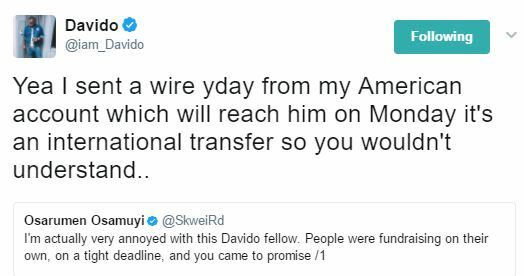 ‘Yea I sent a wire yday from my American account which will reach him on Monday it’s an international transfer so you wouldn’t understand’.